If you&apos;ve used Instagram within the last month, then you&apos;ve most likely stumbled across a few sponsored posts showing up in your feed, from brands and companies you aren&apos;t following. Now before you start worrying about learning another advertising platform, a little history lesson is in order. Instagram is the brainchild of Kevin Systrom and Mike Kreiger, two Stanford grads with a background in computer engineering and a penchant for startups. While working on a web-based check-in service startup, Kreiger and Systrom realized their current project contained too many features that users simply didn&apos;t want. Instead, they decided to focus on one specific feature: photo sharing. Thus, Instagram was born, deriving its name from the combination of the words "instant" and "telegram." Within two years Instagram exploded in popularity with over 80 million users. This caught the attention of Facebook&apos;s board who bought Instagram in April 2012. Since then, Instagram has seen exponential growth, with additional features, filters, languages, and interface updates being added regularly. The most important addition (and what you most likely came here for) was the launch of sponsored posts and videos in November 2013. Since then, the ability to advertise on Instagram was open to only large corporations with millions to spend on advertising. Almost two years after officially launching their advertising platform, Instagram has begun slowly rolling out their platform to anyone interested. This is where you and I come in. Remember that piece about Facebook buying Instagram in 2012? Well, take a guess how you get access to Instagram&apos;s ad platform? Yep, you guessed it — Facebook&apos;s ad platform. The advantage of this is you can now take the same great targeting given to advertisers on Facebook and apply it to Instagram users as well. A common argument might be something like "Well, I&apos;m already advertising on Facebook and using Adwords, why do I need Instagram now too?" It comes down to one thing. Attention. We&apos;ve all heard the studies about banner blindness, decreasing CTRs, and rising CPCs across most platforms. This is due to the fact that internet users have become aware of the strategies of advertisers and have simply decided to ignore their efforts. This is where Instagram shines — by displaying ads directly in the feeds of targeted users, you are emulating the organic content they are already used to consuming. This is similar to Facebook&apos;s newsfeed ads. 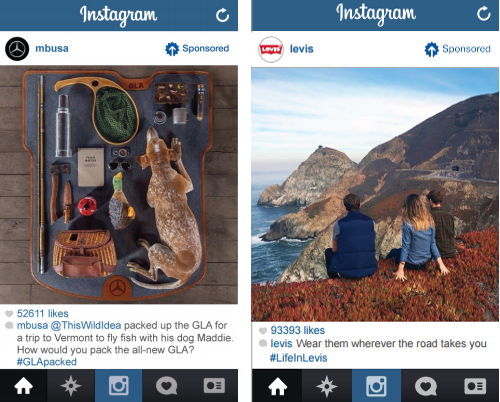 Instagram ads are here to stay. Instagram ads are poised to account for over 10% of Facebook&apos;s total ad revenue this year and projected to continue growing. There&apos;s no better time to be part of Instagram ads than the present. For more information about Instagram and social media advertising, contact our SEM team at info@simpleviewinc.com. 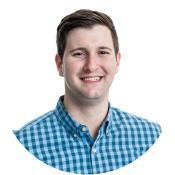 As a Strategic Analyst, Grant Stoltz helps create and implement digital marketing strategies for clients across all of Simpleview's services. For more information about strategy consulting for your digital marketing initiatives, e-mail us at info@simpleviewinc.com or call our offices at (520) 575-1151.